The most conservative approach is to wear compression stockings. Compression stockings are elastic stockings that squeeze your veins and stop excess blood from flowing backward. They come in below-the-knee, above-the-knee, and pantyhose styles. They also come in different compressions, varying from 15 to 20 mmHg and up to 40 to 50 mmHg. 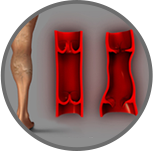 Compression stockings will not get rid of your varicose veins but can help to stop them getting worse. They can be troublesome to put on and may be hot during the summer months. In some patients where other treatment options are not suitable, compression stockings may need to be worn daily for the rest of their life. 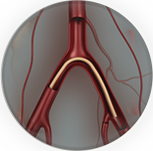 Generally however varicose veins and spider veins can be eliminated by using the other treatment options available. Depending on the size and location, varicose and spider veins can be treated with surgical vein stripping, injections (sclerotherapy), or endovenous laser treatment. 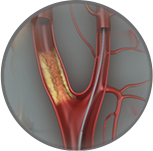 Contact Specialist Vascular Clinic to seek professional advice and arrange for a specialist consultation.